Fitted into a square gold-foil box, the Bond No. 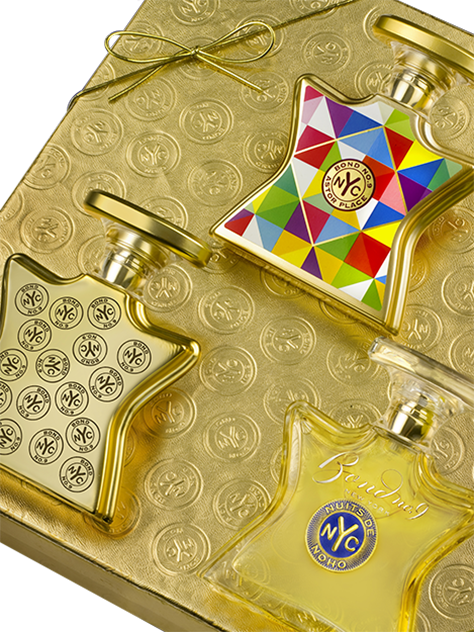 9 signature coffret contains three of our most beloved top-sellers—the aforementioned Bond No. 9 Perfume, as well as Astor Place and Nuits de Noho. Their appeal is unabashedly to women who are romantically or seductively inclined—or both at once.